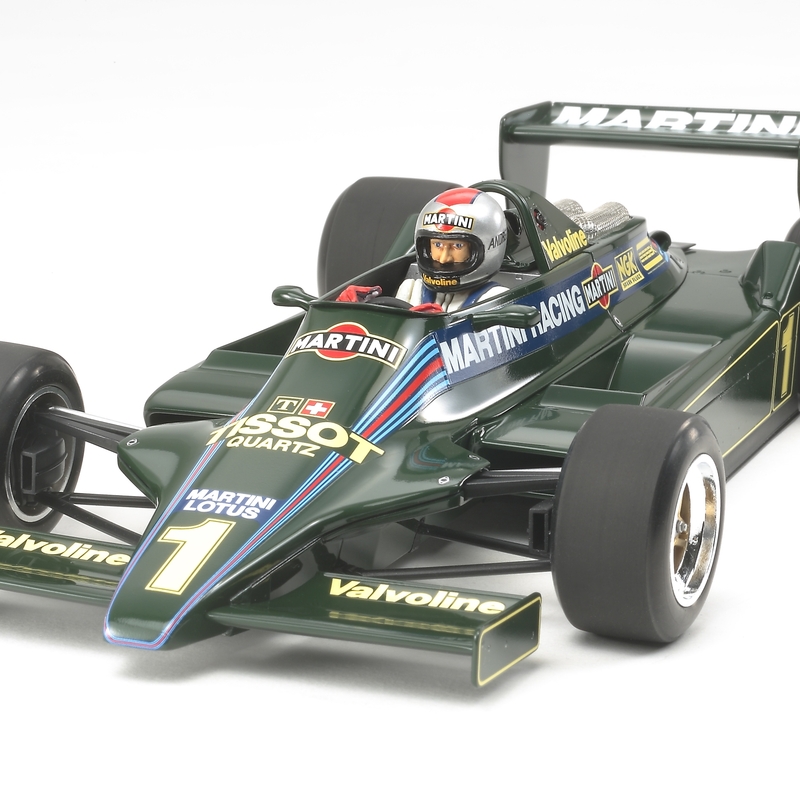 Home Shop PLASTIC MODELS Automotive 1/20 Grand Prix Lotus Type 79 1979 "Martini"
Lotus Type 79 1979 "Martini"
In 1979, the championship-winning “Black Beauty” Type 79 from the 1978 season was repainted with British Racing Green. The team consisted of the previous year’s champion Mario Andretti and former Ferrari driver Carlos Reutemann. 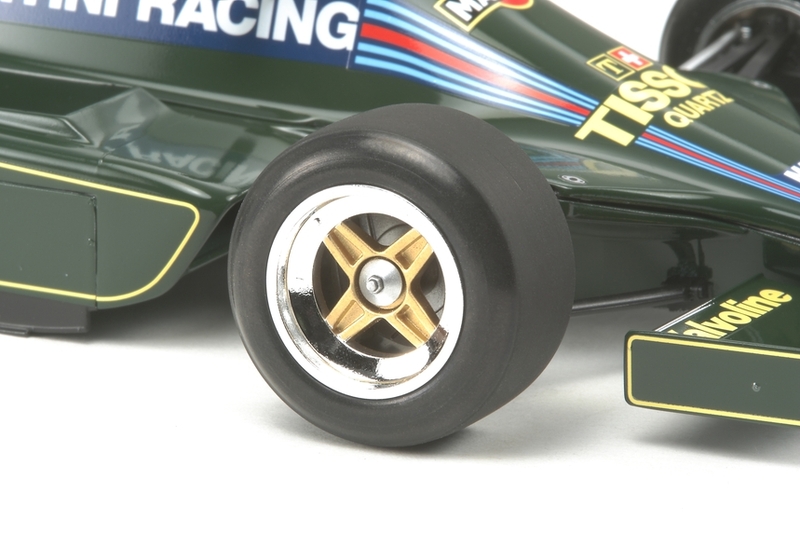 Team Lotus ended the season winless as they could not overcome the other teams’ second-generation ground-effect cars. 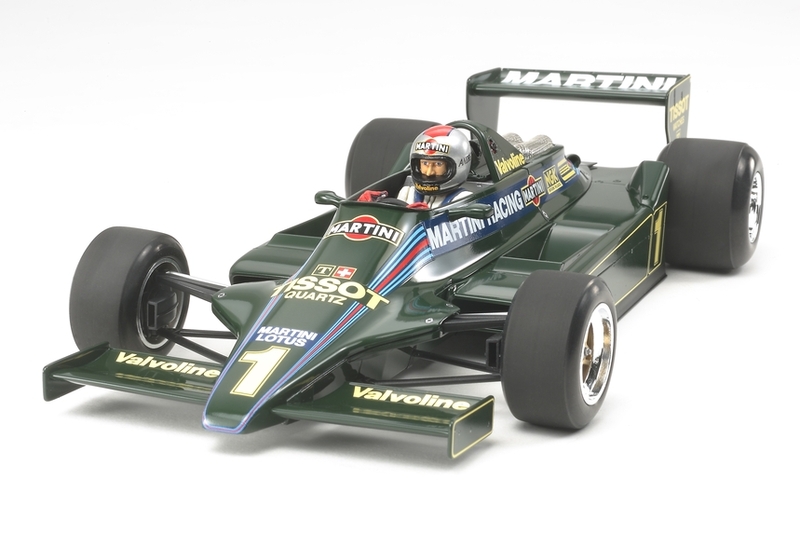 However, Reutemann and Andretti placed 2nd and 5th respectively at the opening race in Argentina, and the former also achieved podium finishes in Brazil and Spain. 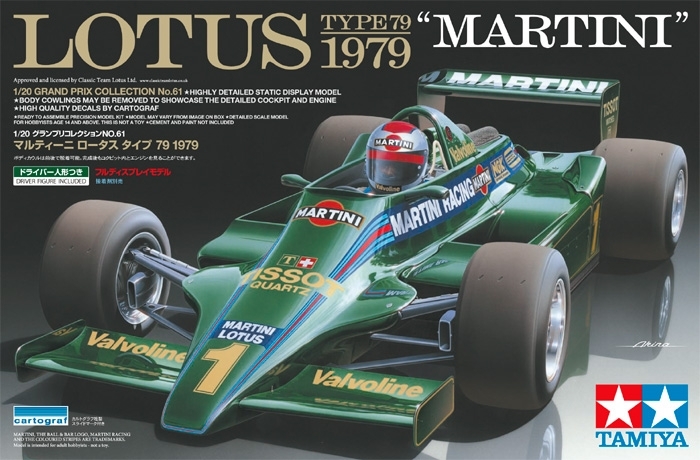 ★1/20 scale plastic assembly kit model of the Lotus Type 79 1979. Length: 220mm, Width: 108mm. ★The sleek, low profile of the machine has been realistically reproduced. 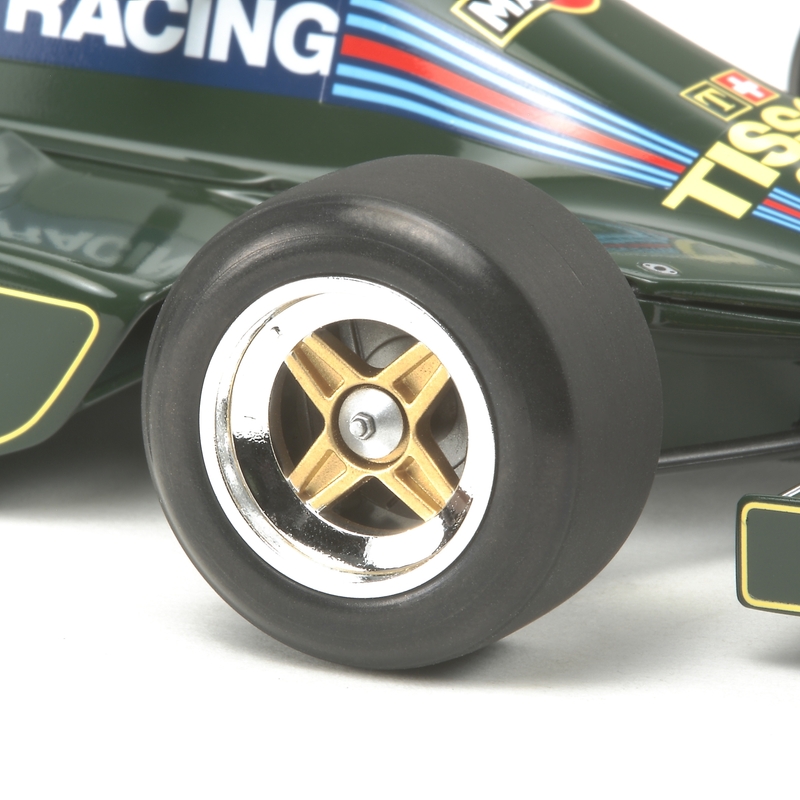 ★Front and rear cowlings are removable even after assembly. 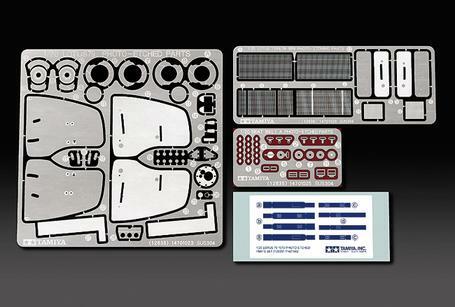 ★The distinctive undersurface shape of side pontoons are accurately rendered. ★Metal covers for air funnels enhance great scale realism of the DFV engine. ★Features of the Type 79, including intercoolers within side pontoons, 4-spoke wheels, instrument panel, have been precisely depicted. ★2 kinds of decals to depict No.1 and No.2 cars are included. 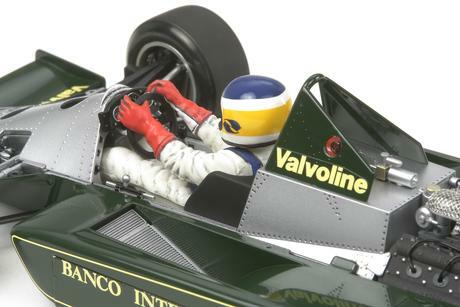 ★Driver figure included. Special Feature 1 The front and rear upper cowls can be removed after assembly to view the engine and cockpit area. 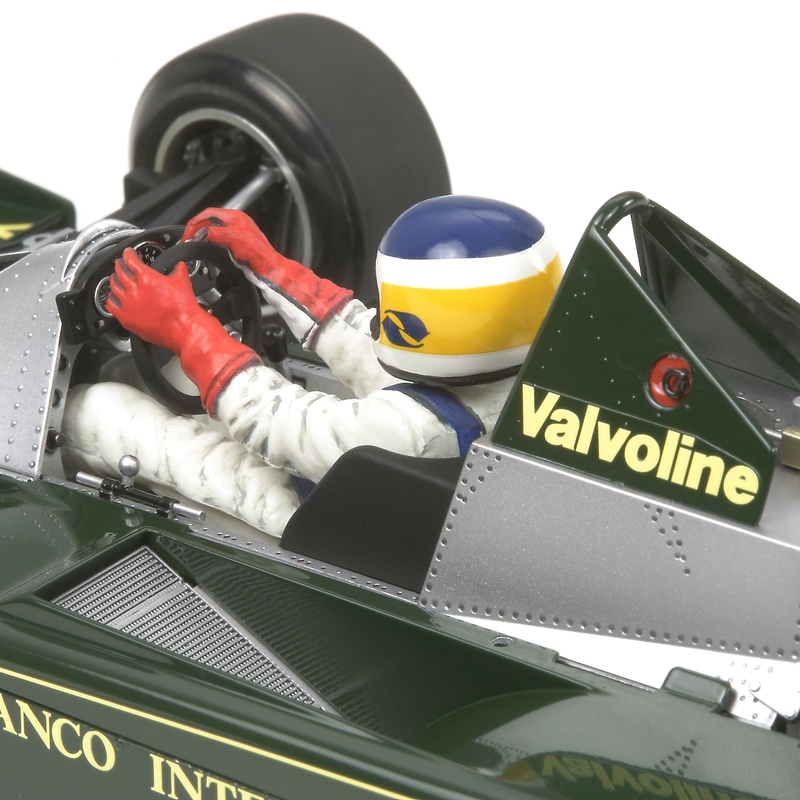 Special Feature 2 Additional H and J Parts have been included (see image below) to accurately depict the differences from the Lotus Type 79 1978 (Item 20060).